Heinemann Educational Books, 9780325000930, 160pp. Fans of the best-selling For the Good of the Earth and Sun will applaud this sequel by beloved author Georgia Heard - an inspiring and practical handbook that celebrates the natural power of poetry to teach the essential tools of all writing. 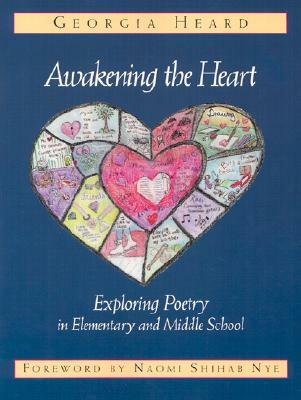 Awakening the Heart explores how to cultivate the poet in every elementary and middle school student - through well-drawn examples, detailed exercises, creative projects, and down-to-earth classroom teachings. Along the way, we learn how to: create environments that encourage children to express their innate sense of wonder; introduce poetry that will engage them; and help children make the transition from reading and talking to writing. Best of all, Awakening the Heart is filled with luminous poems - by children, famous poets, and Heard herself.